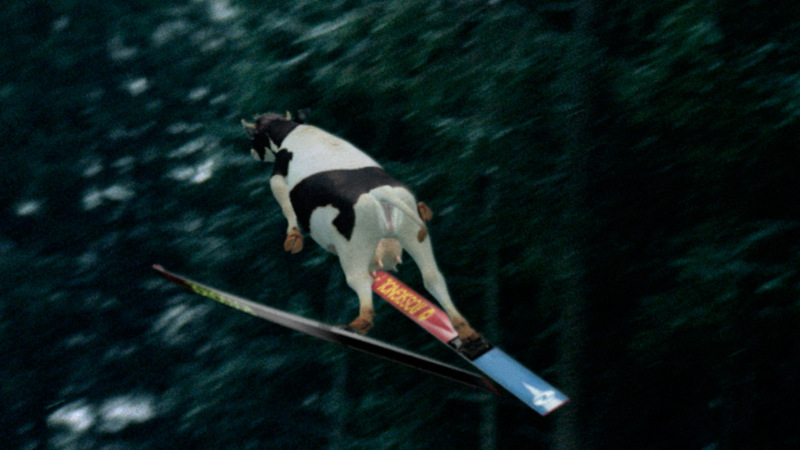 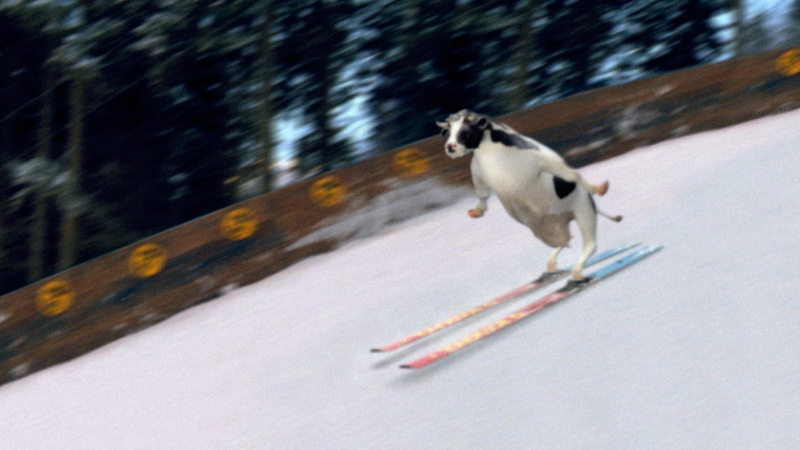 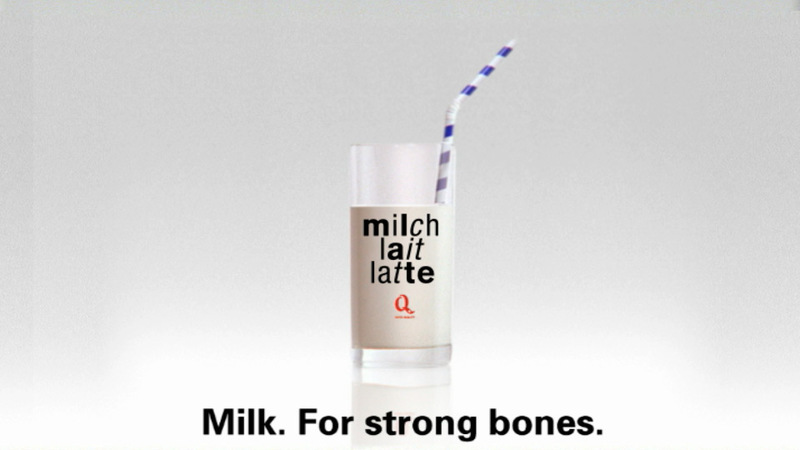 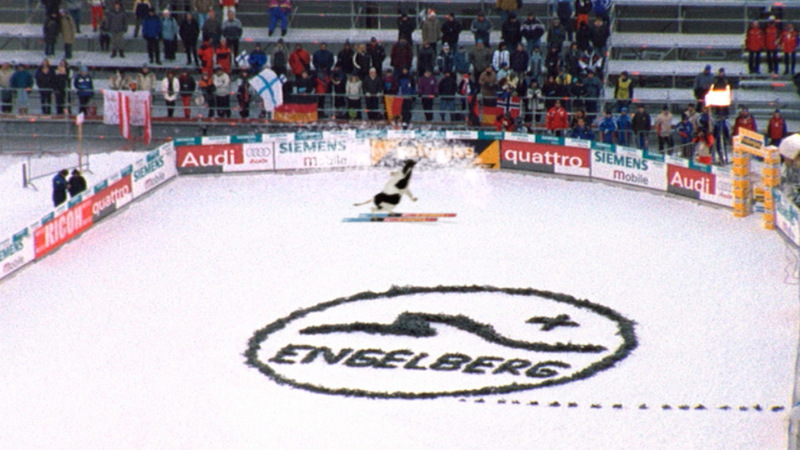 Neumatic founder Ben Leonardi created this hilarious animated skiing cow sequence for Swiss Milk. 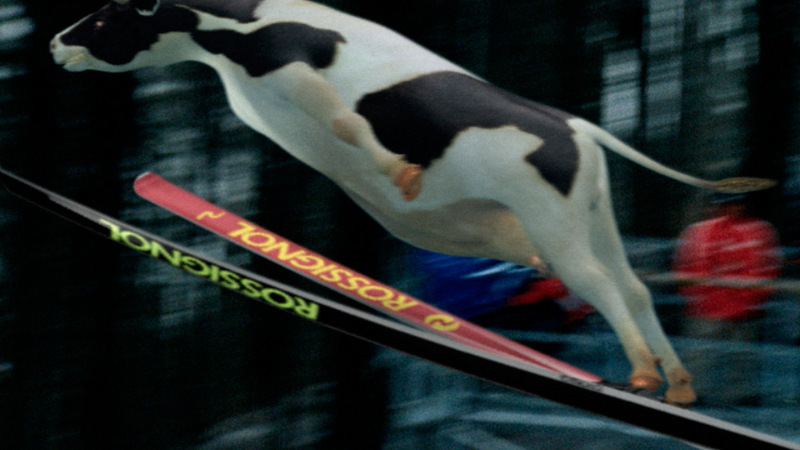 Tracking the cow with the live-action footage, the sequence blends the live-action video and animation seamlessly creating a very unexpected sight. 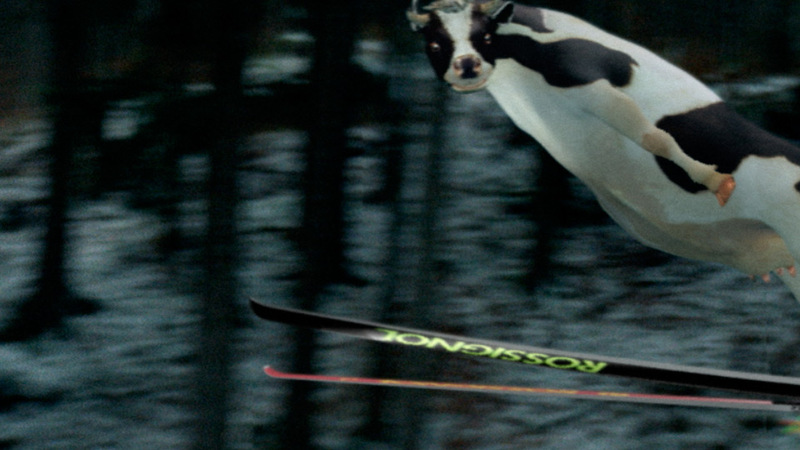 Try not to laugh when you see this cow fly through the air.